I recently came across a nonprofit in which the chairperson, who had recently died, bequeathed her interest in the nonprofit to a close relative. Little did she realize that a nonprofit is not property that you can transfer or otherwise give away. A nonprofit is fundamentally different from a for profit organization, such a corporation which issues stock. This article describes some corporate governance aspects of nonprofits. If you have any questions about nonprofit management, you should consult with a nonprofit lawyer. For profit organizations generally have three tiers of corporate governance. The shareholders own the organization. They select a board of directors, which provides the overall direction of the organization. The board of directors selects the corporate officers, who manage the daily affairs of the organization. The structure of a for profit business organized as a limited liability company is similar, except one person may combine one or more of these roles. In a for profit organization, the owners hold shares or interests in the organization. For a corporation, the shareholders hold shares of stock. In a partnership, the partners own partnership interests. And in a limited liability company, the members own membership interests in the company. None of this applies to a nonprofit. A nonprofit is not owned by anybody. Since there are no owners in a nonprofit, the organization is governed and controlled by its board members. There are some exceptions such as a member nonprofit, or a nonprofit set up as a trust, which has trustees. But the vast majority of nonprofits are set up with a corporate structure. Each member of the board of directors in a nonprofit has heightened duties of trust and loyalty. The reason that the organization was approved as tax exempt is because the organization convinced the IRS that it is being used “exclusively for charitable purposes.” The board of directors is responsible to assure that the nonprofit adheres to this purpose. And these board members have various duties. Each board member has a duty of care. If you are serving as a board member, you should be familiar with the organization’s activities and its finances. A nonprofit board member has a duty of loyalty and to act in the best interest of the corporation, not the board member’s individual interest. Finally, the board member has a duty of obedience to be faithful to the organization’s purpose. How do these duties translate in practice? If you are a board member, then you should independently review each transaction that the board must approve. These are some of the considerations you should take into account when reviewing the transaction. • The interests of the nonprofit should be paramount in your mind. What is the best for the organization? • Does it comport with the purpose of the organization? 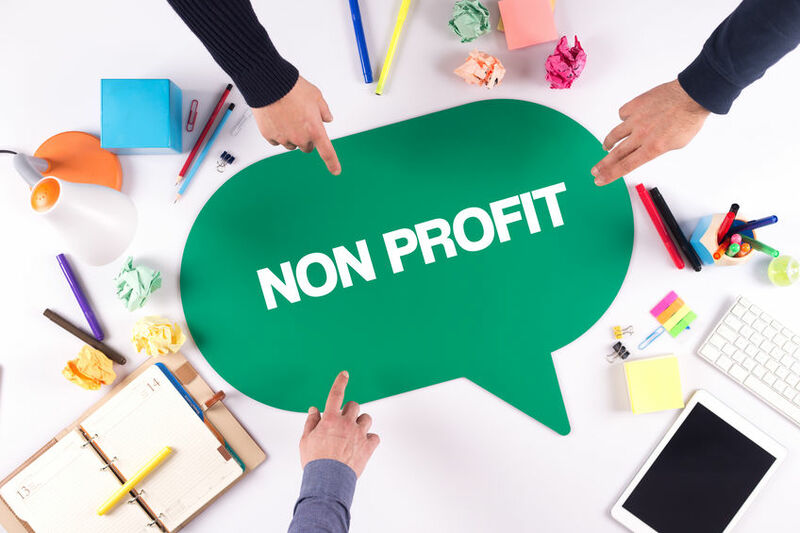 When the organization submitted its application for nonprofit status (Form 1023), an organization must be organized and operated exclusively for exempt purposes set forth in section 501(c)(3). As a board member, you should determine whether this particular transaction advances the cause of the organization. • Is the transaction fair to the organization? Are the terms similar or better than what would be offered to a for profit organization. If you are hiring a vendor, are the terms commercially reasonable? • Does the transaction benefit a private individual? If the purpose is to benefit someone over others, then you need to take a close look at the transaction. • Does the transaction cause a conflict of interest or is there a concern about self-dealing. We will discuss in more detail private inurement and private benefit transactions below, but these are areas of particular concern for any nonprofit. You probably have seen this admonition to nonprofit organizations: “No part of the net earnings of a section 501(c)(3) organization may inure to the benefit of any private shareholder or individual.” What that means is that insiders such as board members and officers should not get a sweet deal on sales of goods or services. An individual is not entitled to unjustly enrich him or herself at the organization’s expense. If someone is looking to set up a nonprofit and then pay an excessive salary, this would violate the private inurement language. If the organization were to provide a low or no interest loan to an insider, then it would run afoul of the rule on private inurement. Private benefit is broader than private inurement, and applies to any individual, regardless of whether they are associated with the organization. The idea is that a nonprofit should not target a service or a financial transaction for a specific individual or narrowly defined group rather than the public. Private benefit does not have to be financial. The board needs to be vigilant that individuals do not reap a benefit that is not within the exempt purpose of the organization. The ultimate sanction for violating the rules on private inurement or private benefits is revocation of the 501(c) (3) status. Since 1996, the IRS has a middle road and may impose intermediate sanctions on a “disqualified person” who benefited from the transaction and on organization managers. If you are a board member, the IRS may impose an “excise tax” on you if you “knowingly, willfully, and without reasonable cause” participated in these transactions. If you relied in good faith on the written opinion of a lawyer on matters within his or her expertise, you are entitled to a rebuttable presumption that you acted reasonably. Nonprofits face many of the same legal challenges as other small businesses. Consulting with a small business attorney who works with nonprofit organizations can assist in minimizing the risk to the organization and to the board members and officers.